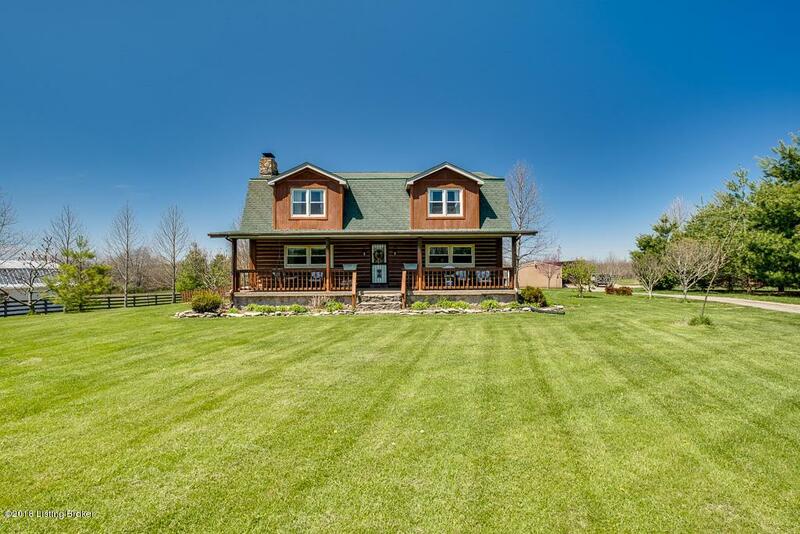 BEAUTIFUL 4 BEDROOM/3.5 BATH LOG HOME ON 12 PRIVATE ACRES . 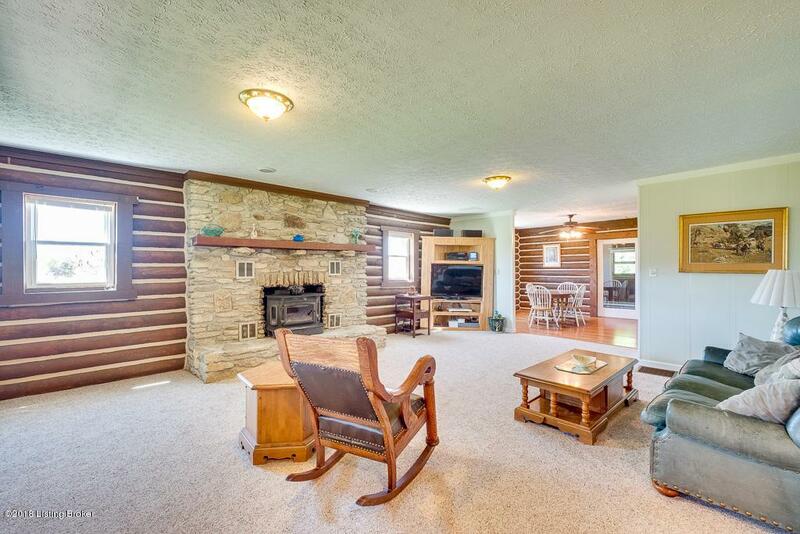 This charming log home is located just outside of historic downtown LaGrange on Old Jericho Rd. 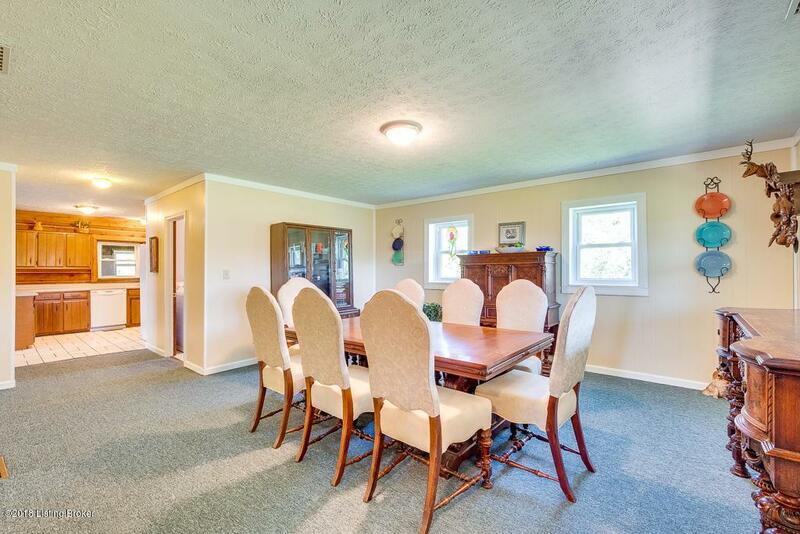 The authentic home sits on 12 gorgeous acres of open pasture and wooded land. A portion of the interior walls feature exposed logs, highlighting the beautiful character of the home inside as well. A big open Great room has a wood stove fireplace. The large kitchen offers an abundance of cabinets and counter space, and a large walk-in pantry provides plenty of additional storage. 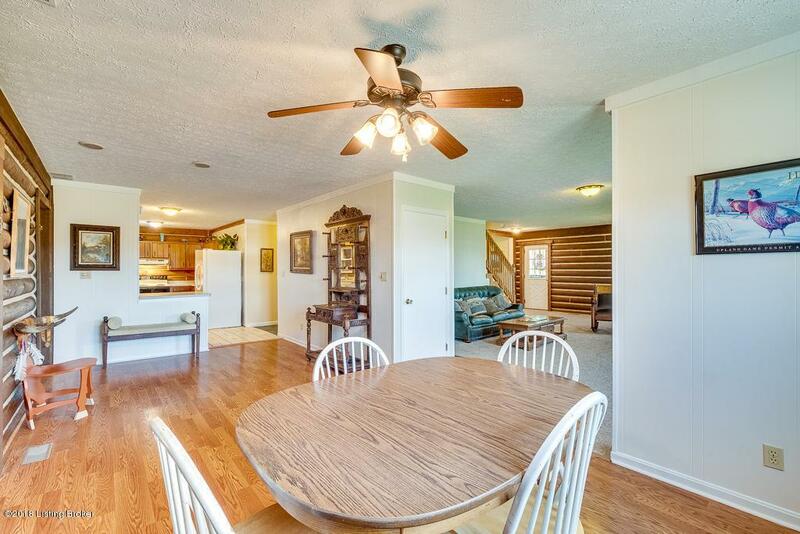 Upstairs find 4 large bedrooms and 2 full bathrooms. The lower level has a second finished family room with fresh paint and new carpet, a third full bathroom, and an abundance of functional work space, including a lower level garage bayThe long driveway approach leads you to a parking pad and detached buildings, which include a detached 3 car garage (24' x 40' with water and electric) and an equipment barn offering 2 additional commercial sized bays (36' x 36') that can easily house a camper, boat, and/or farm machinery. The paddock and pasture area is fenced and features a large covered run in shed. The garage provides indoor/outdoor kennel access and has a large concrete pad. Enjoy a fire pit on cool nights and the above ground pool on warm ones. Trails throughout the property make it perfect for recreation or hunting. A 12' x 10' shed is located in the rear of the paddock area. In addition to the traditional heat pumps are 2 wood burning stoves, one on the main level great room and the other in the lower level which can also burn coal.